Find out which high school is right for you. See a list of high school information nights and open houses. 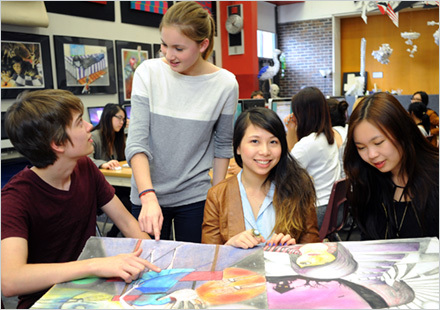 As a high school student at the TDSB, you have access to an incredible variety of schools, programs and courses. From Africentric and specialized arts programs to technology and athletics, we have something for every student and can help you find the right path for a successful experience in high school and beyond. There are also many opportunities to get involved outside of the classroom, from leadership and volunteer activities to sports and clubs. Your high school experience is what you make of it and at the TDSB we provide the opportunity for each individual student to find and follow your passion.